Auto insurance combines property protection and liability insurance (which comes into play if you are sued in connection with an automobile accident). Especially for the many professionals we insure, it is critical that auto insurance is not purchased based solely on policy price. 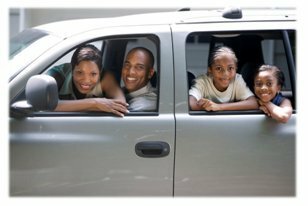 Sellers & Co.’s knowledgeable representatives can explain the different coverages combined in your auto policy and help you select the coverage you need. We can also help you with insurance for classic & antique cars, boats, motorcycles, RV's, ATV's and other vehicles. You can obtain property coverage for protection against covered causes of loss. You can also purchase liability coverage, protecting your assets in the event that you are ever sued in connection with a bodily injury or property damage due to an accident with one of these vehicles. Protects you when you are held legally responsible for an automobile accident that causes bodily injury or death to another. Covers legal defense costs for auto injury claims made against you. Covers you, up to the stated limit, if you are liable for damage to the property of others caused by your auto. Could include such things as other autos, telephone poles and damage to buildings. Pays for financial losses for bodily injury or death for you and any passengers in your auto, up to the stated limits, if you are in an auto accident caused by a driver who is uninsured or insured at a low level. We recommend that you match this coverage to the amount of Bodily Injury coverage you have, so that you are protected to the same degree that you are protecting others. This coverage pays, up to the policy’s limits, for the costs of personal injuries in an auto accident, regardless of fault. We recommend that you maximize the amount of PIP coverage you carry. Pays medical expenses directly resulting from an auto accident on a no-fault basis. Pays for damage to your auto, less your deductible, for losses caused by collision. Pays for damage to your auto, less your deductible, for other damage, such as that caused by theft, fire, glass breakage, or hail. With Travelers Benefits Plus Program, you receive the high quality coverage and claims service provided by Travelers, along with discounts based on your membership in your County/District Medical Society!